A Pakistani court has sentenced a Christian man to death after he was accused of texting a blasphemous poem to a Muslim friend through WhatsApp. Nadeem James, who was arrested during the summer of 2016 and charged with the capital crime of insulting the Muslim prophet after a Muslim friend named Yasir Bashir complained to the police about an alleged message received through the mobile app, was officially sentenced to capital punishment last Thursday, according to his defense attorney. James was charged under section 295-C of the Pakistani criminal code, which calls for those who insult Muhammad to be punished with death or life imprisonment. "James was handed a death sentence by the court on Thursday on blasphemy charges," James' attorney, Anjum Wakeel, told AFP. The lawyer added that James' trial was held inside of prison because local Muslim clerics had threatened James and his family. Wakeel vowed that James, who maintains that he was falsely accused of the crime because he married a Muslim woman who converted to Christianity, will appeal the sentence to the nation's high court. Wakeel asserted that his client "has been framed." 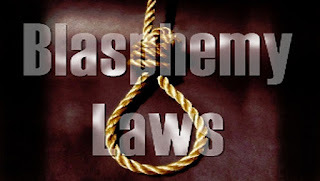 Wilson Chowdhry, chairman of the London-based humanitarian charity British Asian Christian Association, told The Christian Post on Monday that under Pakistani law, those who have been sentenced to death for blasphemy must wait at least five years before they can appeal. "The frightening aspect of this case is that despite the safety of a trial in prison, a district magistrate has ruled that Nadeem, an obviously innocent man, is guilty. This provides little confidence that Nadeem can ever see justice in Pakistan and we all know what that sadly means," Chowdhry said in a statement. "Nadeem James was an innocent man who fell in love with a local woman. After he married her, all he wanted was to settle down and have children, then to provide for them - all perfectly acceptable goals." James joins the likes of Christian mother Asia Bibi, who was also sentenced to death by hanging for alleged blasphemy in 2010 and recently nominated to receive the European Union's prestigious Sakharov Prize. "It's become a palpable reality that [James] could be hanged, but it doesn't [give much hope] to Asia Bibi either," Chowdhry stated. Bibi has been sitting in Pakistani prison for years. Although she requested an appeal last year, her appeal hearings have continued to be delayed by the nation's Supreme Court. "I don't believe a Supreme Court judge is going to exonerate Asia Bibi," Chowdhry told CP. "Any judge that would be brave enough to do that - it should be a responsibility of every judge - would in essence be facing his own death sentence in Pakistan because of the sheer intolerance and hatred towards minorities." "Her solicitor was calling for a hearing in April and it was rejected by the courts. Asia Bibi is sick. She is ill. She is coughing blood in prison. 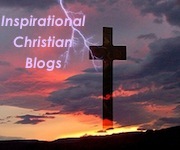 She is in a dingy cell and she is losing her sanity," he continued. "It may well be that courts are simply delaying things so that they don't have to face the consequences in their country for exonerating Bibi, which would mean riots in every state, or they condemn Asia Bibi to death and face international scrutiny and animosity from the whole of the West who are watching with anticipation for her freedom." Pakistan ranks as the fourth worst country in the world when it comes to the persecution of Christians, according to Open Doors USA's 2017 World Watch List. One contributing factor to that ranking is the abuse of the country's blasphemy laws by some Muslims looking to settle personal scores with religious minorities. "Until this draconion law is removed from Pakistan, no Christian can feel safe. It is not abuse of the law that is the problem - it is the law itself," Chowdhry said in a statement. "No man-made law is ever required to protect God. As Christians, we believe He is omnipotent. However, this seems a theological concept too difficult to decipher for Muslims in Pakistan, who continue to espouse blasphemy laws despite no basis in quranic scriptures." The British Asian Christian Association launched a petition calling for an end to blasphemy laws in Pakistan.